Jewellery and tech lovers behold as the ultimate in luxury wearable technology seems to have just arrived. 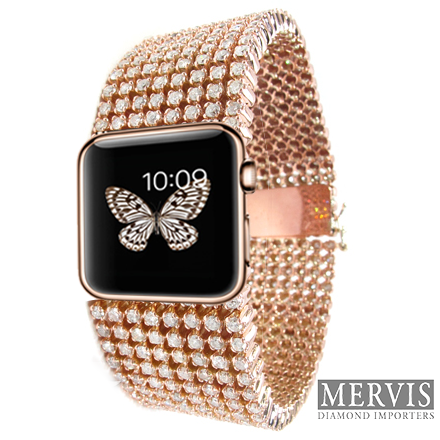 Mervis Diamond Importers have just started taking pre-orders for the extremely limited first production ‘Diamond iWatch’, which is expected to ship on June 1, 2015 and cost just over US $30,000. “The watch pictured above is in rose gold — the hottest metal on the market today. Accommodations can be made to produce the watch in platinum or white gold. 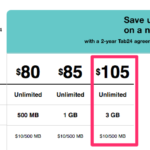 Pricing will vary”. According to the product’s description, the Diamond iWatch features 8 rows of round brilliant diamonds, delicately set in a shared-prong tennis bracelet design. A total of 15.14 carats of diamonds are graded as E/F in Color and VS1/VS2 in Clarity, as certified by the Gemological Institute of America (GIA). Interested buyers can can make an appointment here, following which a Mervis representative will contact them to discuss payment options.